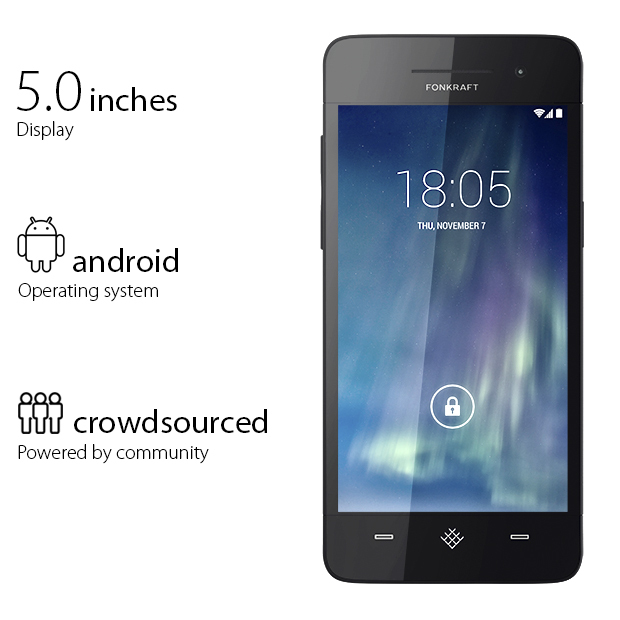 Fonkraft Technologies has started a crowdsourced campaign on Indiegogo to raise funds for what the company is calling the world’s first crowdsourced modular smartphone. The company looks to be racing Google’s Project Ara to the market, which is nice to see another take on the modular smartphone concept. 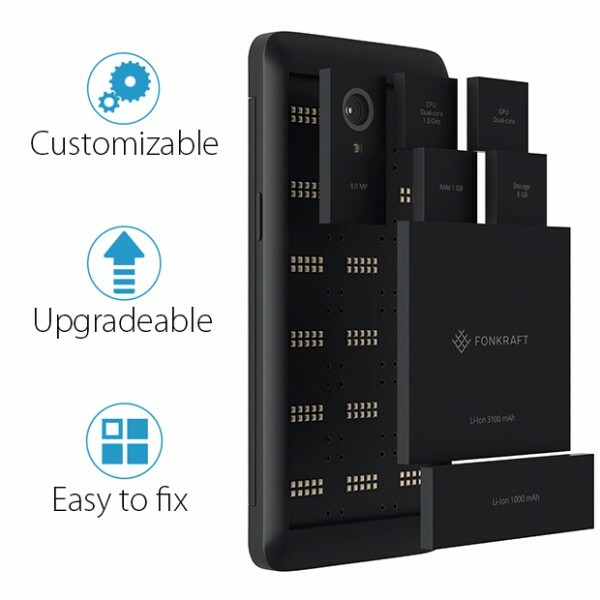 A modular smartphone is where parts of the device can easily be taken out and swapped for a repaired or upgraded unit. For example, if the smartphone’s screen is cracked, instead of changing the whole phone, the user just needs to purchase a new 720p screen or replace it with a 1080p one. Fonkraft is aiming to raise $50,000 (about RM177,300), go into manufacturing in Q2 2015, and then ship the devices internationally in September 2015. Of course, there are perks that will allow users to actually own a Fonkraft when it becomes available. These perks will allow backers to own get their hands on one of four pre-configured Fonkraft options. The Fonkraft Pilot is the most basic model that aims for long battery life with a huge 4,200mAh battery. The Fonkraft Resolution will cater to mobile photographers as it offers a high-res 20MP rear camera while the Fronkraft HiFi will be geared towards audiophiles as it will consist a 192KHz HiFi module to play high-fidelity music. To store all those MP3s or FLACs, it will also have 64GB of storage on board. The most expensive perk will get users the Fonkraft Elements. This perk comes with all the modules from the Fonkraft Pilot, Resolution and HiFi, allowing the user to freely customise the phone, depending on the user’s needs. The Fonkraft Pilot perk will be available for $99 (about RM350), while Resolution and Hifi will be priced at $199 (about RM705), instead of the original price of $249 (about RM883) and $399 (about RM1,414). Besides that, Fonkraft Elements will set users back $299 (about RM1060) from its original price of $499 (about RM1,770). These prices already include worldwide shipping, but those who are interested need to be quick as the prices of these perks will go up after 30 April 2015. Google has been taking quite some time to perfect Project Ara but, with Fonkraft appearing out of nowhere, it looks like there will be more than one modular smartphone around. Fonkraft doesn’t say if its modules will be compatible with Project Ara, which could end up with one of the bigger fears of incompatible phone modules cluttering the market coming true.